From the seed to fruit in low gravity: in 2016, researchers at FAU and the Institute for Aeronautical and Aerospace Medicine at the German Centre for Aeronautics and Space Research (DLR) will launch a satellite with an on-board greenhouse into space. They want to find out how compact life support systems can be used for long-term missions and how organisms react to reduced gravity over an extended period of time. In the space greenhouse, fertiliser will be created out of synthetic urine in order to ripen dwarf tomatoes. A one metre high metal cylinder, approximately one metre in diameter: the compact satellite Eu:CROPIS – built by the DLR – is expected to be launched into orbit around the Earth with a Falcon 9 rocket from the Vandenberg Air Force Base in California in spring 2016. Inside the satellite, there are two identical ecosystems in separate chambers. 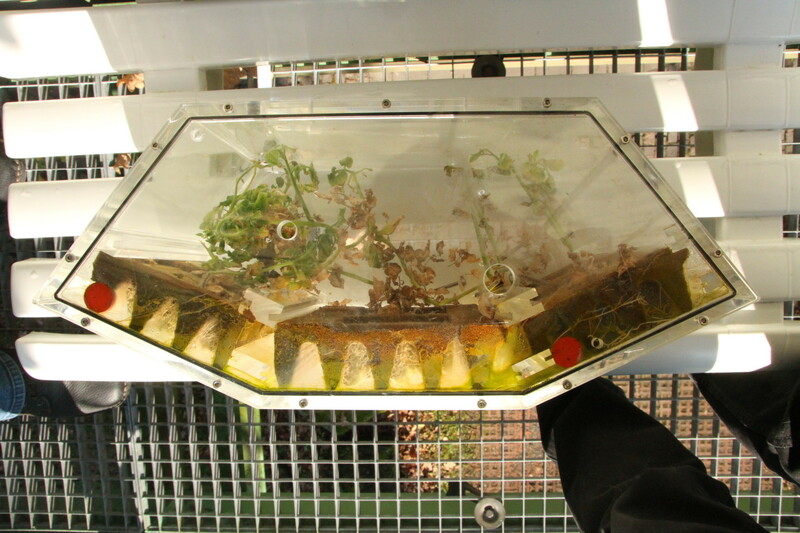 Each ecosystem contains a greenhouse for the ‘Micro Tina’ tomato, which was engineered for space, a tank for the Euglena gracilis algae, a water tank and a filter. ‘The experiments on board Eu:CROPIS will deliver important results with regard to how humans can survive in hostile environments,’ explains DLR researcher Dr. Jens Hauslage, scientific director of the mission. During the mission, which will last around a year, only one of the two experimental set-ups will be active at a time. The reason for this is that the researchers will investigate the effect of gravity on the life support system and the Euglena gracilis algae. In the first stage, the greenhouse will be subject to a force which is similar to the gravity of our moon (0.16 x gravity on Earth), in the second stage the gravity will be adjusted to a level similar to Mars (0.38 g). The effects of gravity are created in zero-gravity as the satellite rotates on its axis. Similar to the effect in a carousel, this causes a force to act outwards, simulating gravity inside the satellite. The researchers want to find out whether – and if so, how – the single-cell organisms can adapt to reduced gravity and how the plants react in such an ecosystem. ‘With this experiment, we want to see whether it is possible to take plants into space in compact systems and use them appropriately in air, water and urine recycling. 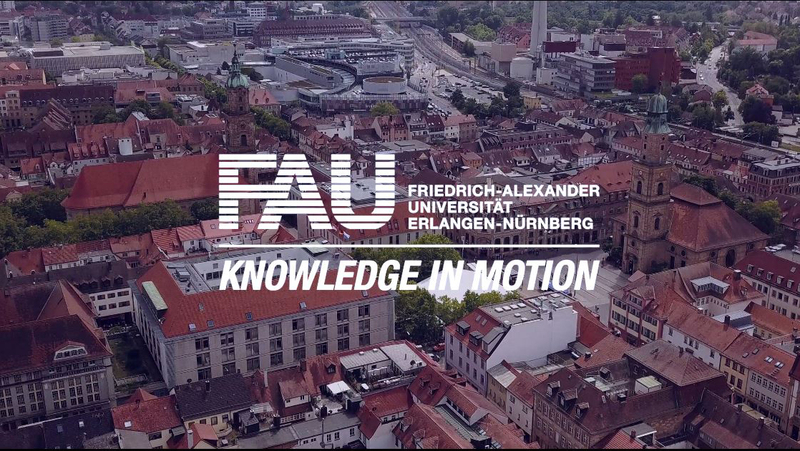 This would be very useful for a long-term mission,’ explains Dr. Sebastian M. Strauch from the working group led by PD Dr. Michael Lebert from the Division of Cell Biology at FAU. The greenhouse system contains all of the nutrients which the tomato plants need. 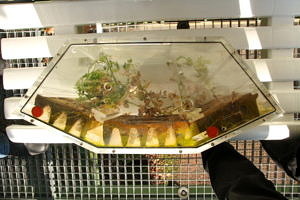 The water comes from a tank; the fertilizer is created within the ecosystem. Artificial urine is added to the cycle at regular intervals and broken down into nitrates by bacteria in the filter. This is where Euglena gracilis, the single-cell algae, comes into play. Before nitrates are produced from the urine, ammonia is formed, which is poisonous to plants. The ammonia level in the water increases initially due to the urine. The filter bacteria break down the ammonia but only very slowly. In the meantime, the tomatoes could be damaged by the poisonous ammonia. Euglena should help the bacteria to break down the ammonia. Ammonia is not harmful to Euglena, it needs ammonia to make proteins. The Eu:CROPIS experiment could also be significant to agriculture: ‘The manure which is spread on fields also naturally contains ammonia. The bacteria in the soil need time to break down the poisonous material. A filter like ours could help reduce the burden on the soil and also provide more valuable nitrates,’ says Dr. Jens Hauslage. To be able to carry out experiments far away from the laboratory and in such limited space, the researchers must first develop the necessary technology over the next 24 months. For example, they must build a PCR machine which runs automatically, as until now a laboratory technician has been required for the individual steps with different reagents. Using this polymerase chain reaction, the researchers can trace which genes respond to changes in gravity and which processes are changed under the gravitational conditions of the moon and Mars. ‘We are currently working on housing the individual stations in one machine and making the required liquids last long enough,’ explains Strauch. A compact version of the ion chromatograph – the technology which FAU researchers use to examine the ions dissolved in the water and trace the material cycles – also has to be constructed. However, these innovative technologies are not just used in space, they can also be used independently from the experiment. For example, the PCR machine could potentially track down any kinds of genes, be they pathological mutations in the DNA of humans or traces of pathogens. The water quality of drinking fountains can also be monitored using a compact ion chromatograph. ‘There is no doubt that there are potential other beneficial applications for technologies developed for space,’ says Strauch.